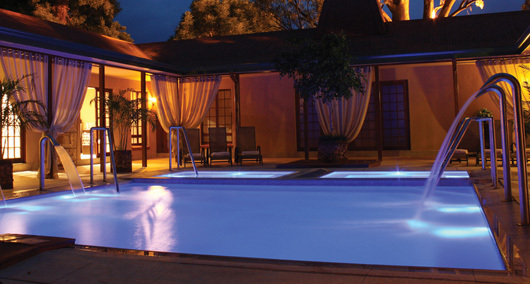 Shambala Wellness Spa in Walmer, Port Elizabeth. Shambala means a Place of Peace, Tranquillity and Happiness. In Tibetan Buddhist lore, Shambala is a mystical land, hidden in the snowy peaks of the Himalayas, a society where people labour constantly for the good of humanity. This perfectly expresses their ethos - lifting spirits, creating pleasure, a sanctuary in the middle of the city, a realm of escape. The Spa at Cape Grace is a quiet, spacious and welcoming oasis on the top floor of the hotel. The ambiance is soothing - overlooked by Table Mountain and the serenity of Table Bay harbour, the spa offers a wide range of spice inspired fusion therapies. The Spa has 5 treatment rooms (including a couple�s treatment room), a relaxation area, sauna, steam room and a multi-sensory experience shower. Pevonia Spa at Banskia Boutique. 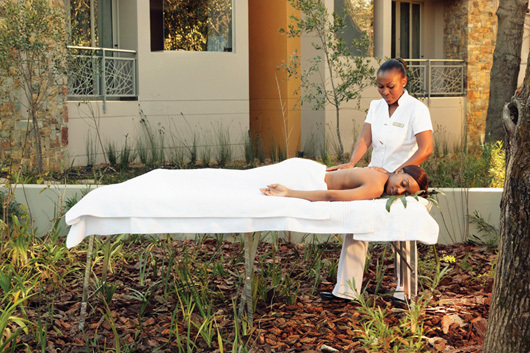 �Celebrating the art of living well & turning it into a lifestyle philosophy�- is the mission of The Spa at Banksia. The spa d�cor is reminiscent of Hollywood glamour with crystal chandeliers, magnificent mirrors and palates of cream and white. Located in a separate loft area overlooking the Victorian manor house and gardens, the Spa has three treatment rooms and a Rasul. Special Recognition: Cradle Health Spa, nestled into the foothills of the Majestic Magaliesburg Mountains, in the picturesque village of Hartbeespoort Dam, Cradle Health Spa �Hydro, Medical Spa and Wellness retreat is the ideal oasis for a holistic healing experience. EQ Natural Day Spa, located in Saxonwold, one of Johannesburg�s oldest and most distinguished suburbs, the spa artfully blends today�s technology with ancient techniques and healing practices to bring you a sanctuary which restores your sense of wellbeing.The spa offers a sauna, steam room, Good Earth Caf�, a �mindfulness� relaxation area, meditation facilities, yoga and pilates classes -all in a tranquil and restful setting. 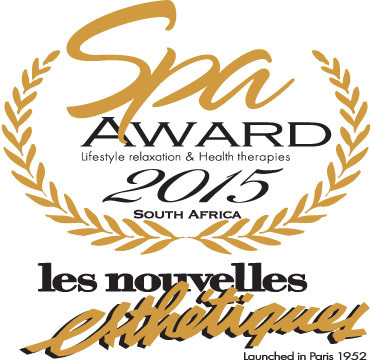 The Les Nouvelles Esthetiques Spa Awards Safari Spa Category Finalists were Etali Safari Spa, located in the heart of the spectacular Madikwe Game Reserve. Embraced by pristine bushveld nurtured by Africa's rich red soil, Etali Safari Lodge is built in harmony with nature. It is an exclusive, intimate haven, where clients are rejuvenated in surroundings created by people who understand luxury. Etali's Wellness Spa is unique in concept. The design and layout of the cool, thatched, secluded Wellness rooms, allowing guests to hear the echo of the elephants around the water hole and the weaverbirds tapping on the windows. 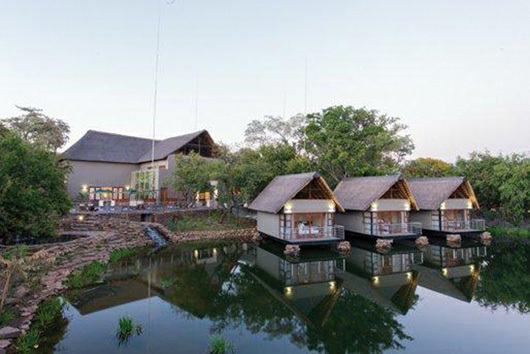 Iketla Spa at Sondela Nature Reserve in Bela Bela, one of South Africa�s most popular holiday resorts. This private game reserve offers a selection of quality holiday accommodation from 4-star self-catering chalets to the up-market butler serviced 5 star Country House. The new Spa offers a variety of revitalising Beauty and Body Treatments. Including a session in the Kneipp Pool or Steam Room to make you feel refreshed, alive and de-stressed. Trained therapists, quality products and assorted treatments have been carefully selected to enhance your overall experience at this welcoming and a truly relaxing retreat. Centre of Wellness, in Parkmore Johannesburg was founded by Dr. Melanie Lambrechts. 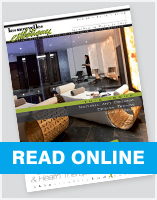 Her mission is to naturally and holistically approach each patient�s rejuvenation requirements. The clinic specializes in combining art and science to best meet the patients needs in a way that is sincere and significant. The Wembley MediSpa is an exclusive upmarket cosmetic centre in Cape Town operated entirely by professionally qualified medical doctors, physiotherapists and aestheticians. Boasting six chic, comfortable treatment rooms and focused solely on results driven therapies with the finest and most modern equipment available in the market. Some of the clinic�s exclusive flagship anti-aging treatments are only available at The Wembley MediSpa. 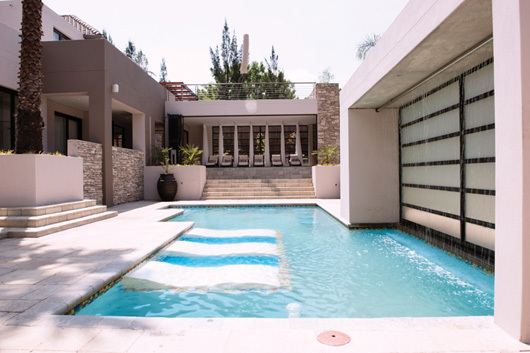 15 on Seventh situated in Parktown North, Johannesburg is the brain child of Dr Mark Steinman, renowned Plastic Surgeon and his wife, Jacqui Steinman and essentially comprises of a medical spa, nail bar, brow bar, caf� and cosmetic surgery consultation rooms. While each facet works in unison to deliver the unique 15 on Seventh experience, they are housed independently; each with their own designated area on the premises. �We focus a large amount on the actual spas, however there are a number of individuals, as seen by the impressive list of nominees, who go above the call of duty and through their work the entire industry benefits. The Spa Recognition Awards include four categories, The Spa Ambassador Award, The Humanitarian Award, The Spa Visionary Award and Spa Management Excellence Award. The Spa Humanitarian Award is awarded to a person / group who by definition is actively concerned in promoting human welfare. The 2015 humanitarian award was awarded to the Global Wellness Day Committee � The South African Spa Industry �Says Yes� to Global Wellness Day, a one-day event celebrating health and wellbeing, which took place on 13 June 2015. By offering a selection of awareness activities and treatment offerings, complemented by additionally raising funds for our official charity: Dance for a Cure, participating South African Spas stand united with hundreds of spas and wellness organizations in more than 55 countries from Turkey to Thailand to support proactive wellness. Global Wellness Day is based on the simple premise of increasing global consciousness of living a better life, even if it�s just for one day, by drawing a focus on healthier lifestyle choices. Spa Visionary Award is awarded to a pioneer within the Spa Industry. A industry leader who has made truly outstanding contributions to the development of the Spa Industry over the past year and whose ideas have lead to a change or noted improvement in the spa industry. The Spa Visionary Award for 2015 was awarded to Lucille Ferreira � African Angels � touching hearts, changing lives. African Angels Wellness Huts are available for placement in corporate and hospitality environments. The African Angels are previoulsy unemployed who are being mentored in a quality assured program which lead to international creditials on successful completion of ITEC examinations. African Angels who show the commitment and determination to succeed may be presented with the opportunity to own a Wellness Hut, creating proud business owners and qualified therapists.